Journey into the heart of the river with our guided float trips in a private boat. One boat will comfortably accommodate up to two guests plus your Orvis endorsed guide. There are multiple rivers from which to choose based upon personal requests, the current conditions of the waters and the recommendations of your guide. 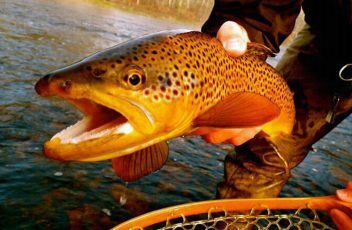 Fish for Brook Trout, Rainbow Trout, Wild Brown Trout or Smallmouth Bass. Cancellation Policy: A deposit in the amount of $150 per guide is due when the trip is booked. Trips canceled 14 days or more before the scheduled trip date will receive a full refund. Trips canceled within 14 days of the scheduled trip date will result in forfeiture of full deposit. All guides will happily accommodate guests in various weather conditions; however, we reserve the right to cancel or reschedule trips if we deem conditions unsafe. Guests whose trips are cancelled by our guides will receive a full refund. Trips are all-inclusive, excluding lodging and gratuity. Lodging at Chetola Resort is offered at reduced rates when booking fly fishing packages. Signed waivers are required for everyone participating in a trip. A wade adventure is the most popular of type of fly fishing, with the angler moving through the banks, rivers and streams to acquire the best position for reeling in the perfect catch. 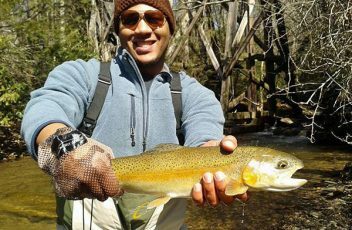 We offer multiple locations throughout the High Country allowing you to choose your ideal fly fishing adventure. Multiple combination packages are available to help maximize your mountain experience. Some locations are seasonal but our Orvis endorsed guides will be happy to accommodate our guests in any weather as long as they deem it safe for both the guest and the ecosystem. 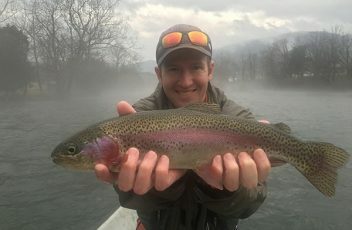 Full or half-day float trips offer an intimate experience in true wilderness, providing access to miles of private water where Brook, Rainbow, and Wild Brown trout as well as Smallmouth Bass dance on wild rivers. Embrace the solitude, epic scenery, big water, and wild trout eager to take a dry fly for a fly fishing experience that will last a lifetime. 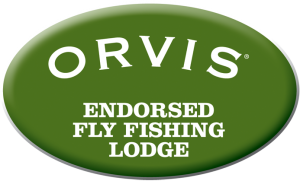 Our Orvis endorsed guides will be happy to recommend locations based on experience and expectations. Our trips take you to stunning wild streams inside Pisgah National Forest and Moses Cone Memorial Park, two of North Carolina’s most beautiful national parks. 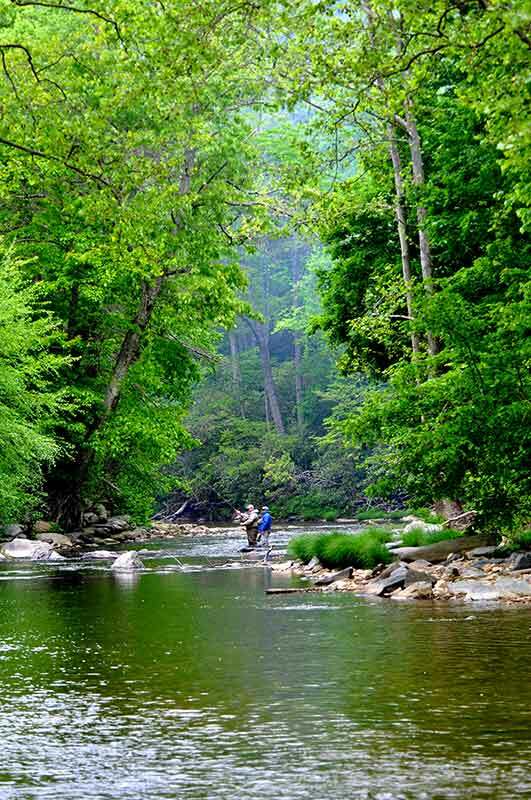 With more than 3,000 miles of public trout waters available in North Carolina, we have become one of the best locations for fly fishing enthusiasts of all ages and skill levels. 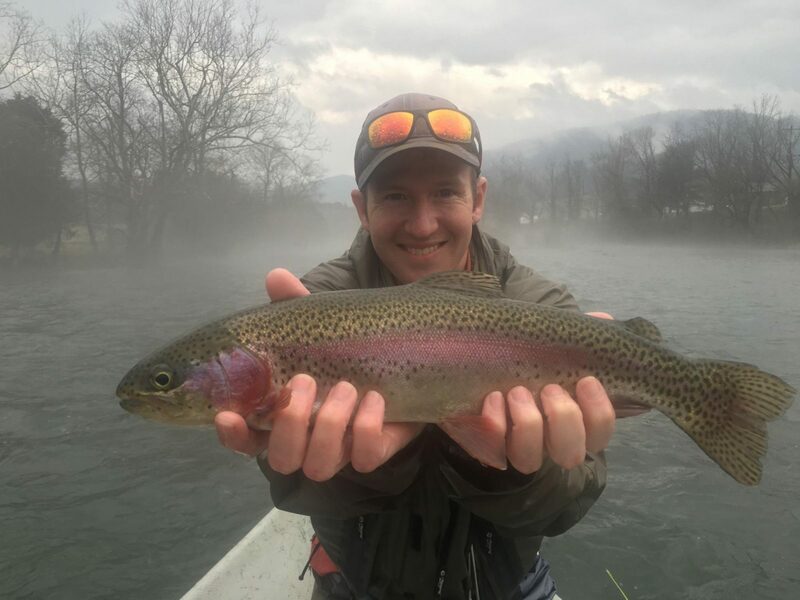 While public waters are open to the general public, it is highly recommended to be guided by our professional Orvis endorsed expert who will find the ideal location: where the trophy trout are plentiful and the memories unforgettable. 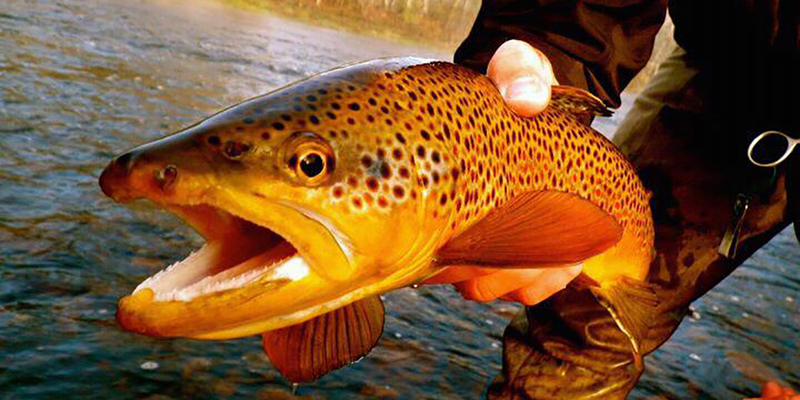 Combine a half-day fly fishing package with our sporting clay package and save on both. Cast & Blast Package Cancellation Policy: A deposit in the amount of $150 per guide, per trip is due when the trip is reserved. Trips canceled 14 days or more before the scheduled trip date will receive a full refund. Trips canceled within 14 days of the scheduled trip date will result in forfeiture of full deposit. All guides will happily accommodate guests in various weather conditions; however, we reserve the right to cancel or reschedule trips if we deem conditions unsafe. Guests whose trips are cancelled by our guides will receive a full refund. Trips are all-inclusive, excluding lodging and gratuity. Lodging at Chetola Resort is offered at reduced rates when booking fly fishing packages. Signed waivers are required for everyone participating in a trip.